For our testing systems, we use almost exclusively industrial PCs. After two decades of developing software, we have an extensive library of software with the widest possible range of applications and interfaces for bus systems, devices and third-party-software. We installed the first PC based testing equipment for steering column switches in 1989. The test stand was in use for more than 10 years and tested the quality of about 10,000,000 switches. We normally use PLC (Programmable Logic Controller) systems to control manufacturing facilities without their own production data management. 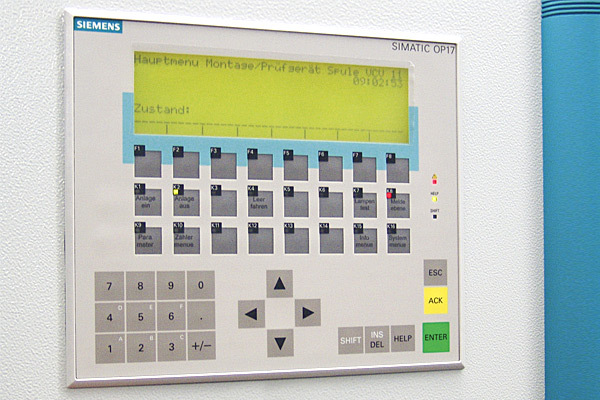 We use devices from Siemens (S7-200, S7-300) or Beckhoff (BC series, CXseries) as standard controls. If production data is collected or if the system communicates with other machines or devices (PC systems, CNC machines, robots, …), we network the controls using bus systems. In small applications we do also use Moeller or Siemens logic controllers or similar products. 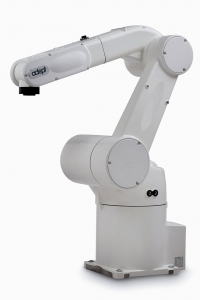 Typically, the robot applications we realise are used for mounting components, screwing tasks as well as the loading and unloading of CNC machining centres. 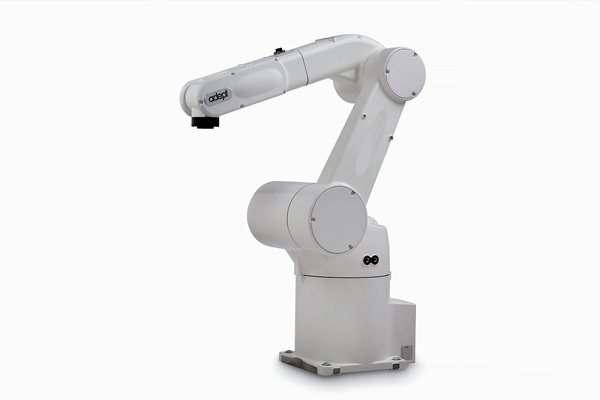 When using Scara or 6 axis robots, we generally work with the systems from the Adept company, which we program with AdeptDesktop.